Besides being operative in the European Textile environment since 1902, Bergmans Textile Agencies has been active in China for many years. Progressive insight made clear that in order to quickly respond to the ever changing market, especially in a large market like China, we had to be permanently present. 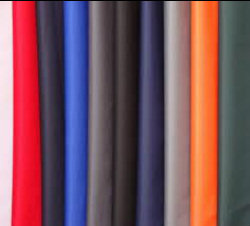 We have affiliated with a fully operational export and service company in ShaoXing, the textile district by excellence, using Chinese specialists for research, documentation, quality control, and after sales service. The European market is serviced from our Amsterdam office. A computer server and a specially designed order administrative system allows us to track orders in detail at any stage anywhere in the world. Contrary to most European agents we represent the client rather than the manufacturer (some exceptions). This puts us in the best position to serve only your interests. ShaoXing is a large textile district and we can fulfill most requests for specific articles, quality, color, price range and delivery time. Once an order is placed, we arrange proper documentation, conduct quality control if requested, shipping and after sales service from ShaoXing or our office in Amsterdam. 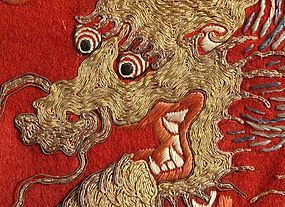 China is one of the earliest countries in the world to begin the production of textiles. According to legends, the Yellow Emperor's wife Lei Zu invented the textile technology. 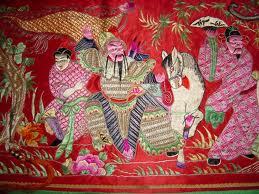 In fact, however, China’s primitive textile technology dates back to the age way ahead of the Yellow Emperor period. The earliest textile product discovered by far is the scraps of kohemp cloth excavated at the site of the Caoxie (Straw Sandal) Hill, Wuxian County, Jiangsu province. It is more than 5700 years old. In China one can find any material you are looking for, develop new articles or find stock lots. Call us, better yet, visit us. We know where to go, when to go and what to expect. We can advice you on materials, fashion- and product development and we do that 24/7 if needed. We supply export licenses, organize shipping and documentation. 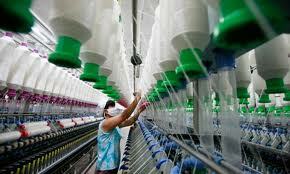 "I have seen the textile world change over the years. In the seventies and part of the eighties we had the Americans with polyesters. In the nineties Turkey with wool, and since then we have China. This supply market is so strong and changes happen so fast that I decided to affiliate with an existing long established export and service company in China. Our combined knowledge of the Chinese supply market, and the European consumer market, their expertise on shipping documentation and quality control make a perfect alliance. Stocklots; it can't be done faster! We inform customers regularly of new developments using modern software supplying them with the latest data.